Having cut your teeth on Caravan Holidays, there inevitably comes a day when the kids are a bit older and you decide you just have to leave this fair isle for 10 days or so for warmer, sunnier, all-inclusive climes. Then you’re on to another snaking queue to be body scanned for metals, liquids or shoe bombs, scissors in pencil cases etc. After about 3 hours of utter stress and mither you finally board the plane and at long last, r-e-l-a-x. Now your holiday has truly begun. To commemorate Airtours International, we bring you this ripped gun-metal grey on bleu foncé Sparta. 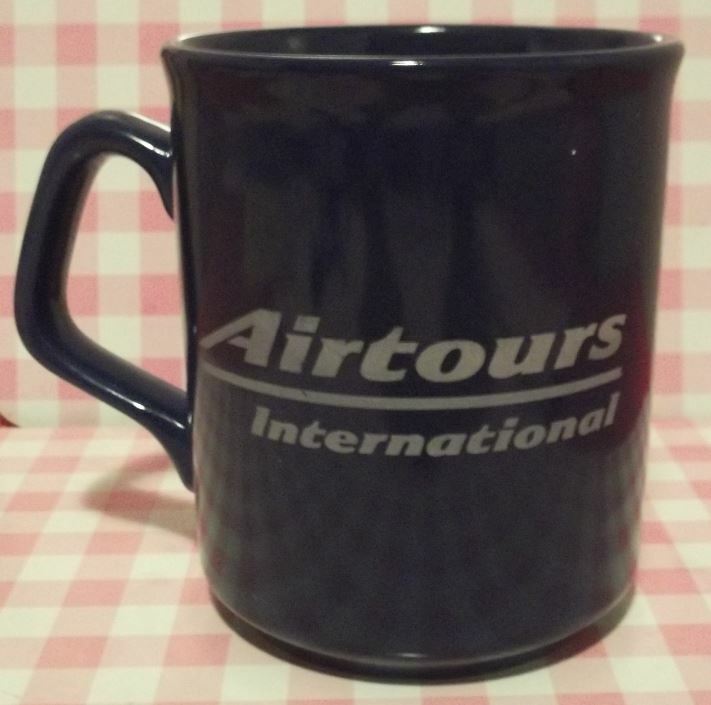 I recall Airtours having a huge call centre up in Helmshore,(Twinned with ‘The Land that Time Forgot‘) Lancashire in the nineties. A big employer it was too but they eventually went into liquidation only to be swallowed up by Thomas Cook t/a MyTravel. ..And the Mugspotters Award for the Most Underwhelming Marrow for 2012 is….Beaches Family Resorts. The Marrow is one of the larger earthenware vessels but I’m afraid this lame effort does this majestic Mug no justice at all. The print is a not-quite-pink, not-quite-purple hue and just floats in its upper portions. 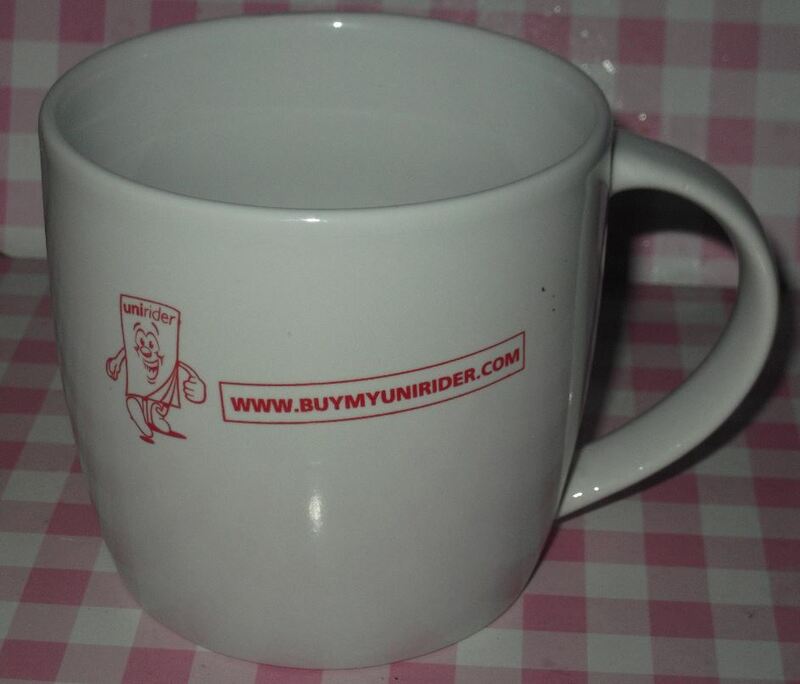 My first impressions were, “Why are Cancer Research charging £1 for this?” quickly followed by “That is one dull trade mug…but I have to have it..” The livery looks old fashioned and suspect it’s quite a dated piece but the prescence of a web address means it’s can’t be too antiquated. Click on the following link to check out Beaches Luxury Family Resorts site. It’s a shame a little luxury wasn’t lavished on their mug! Anyone whose offspring has been on a PGL break will be familiar with this phenomenon. Typically occurring in Year 6 of Primary school, kids are taken off for a 3 day break to some adventure camp where the order of the day is abseiling, zip-wiring, canoeing and quad biking with discos and talent shows by night. After your 3 day break (from your child), you’ll collect them from school and invariably they will be in a cranky state due to sleep depravation and present you with an Everest-high bag of rank washing. 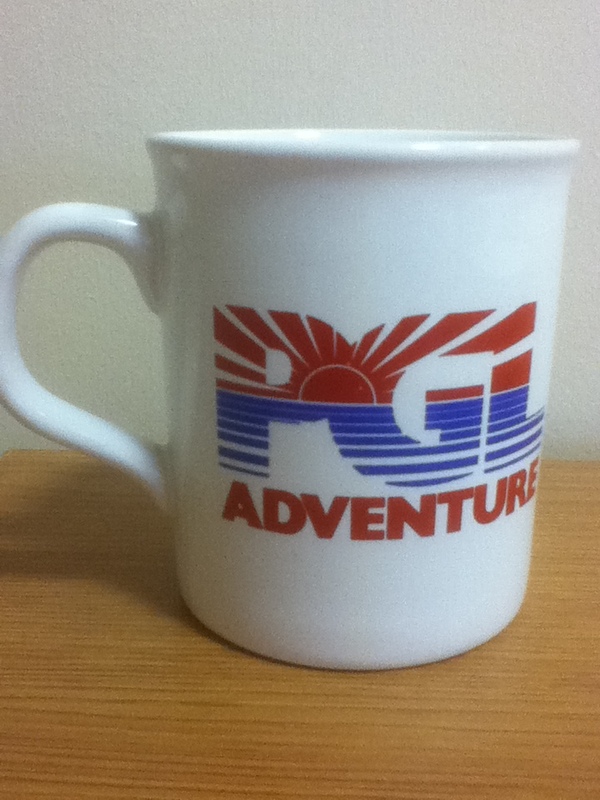 However, this mug is a stunner. I just love this mug. This early example of a Lincoln (although with a sleeker handle) gives you the juxtoposition of a naff 70’s Travel Agents-style logo on one side and a fine line illustration of Boreatton Park, Shrewsbury on the other. You could argue it’s not Trade but 11 year old kids would not buy this even if it was available in their on-site gift shop. 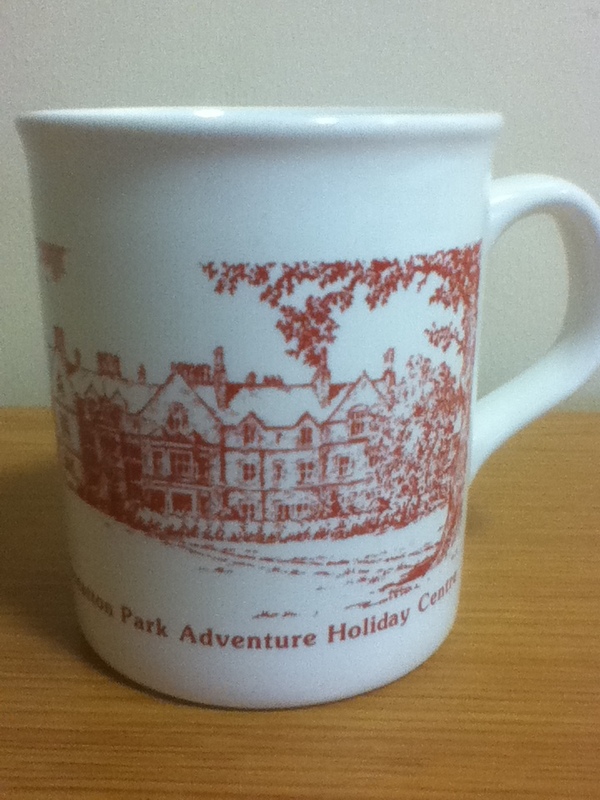 We must assume this mug has been brought into captivity courtesy of a teacher or ex-PGL employee. And I’m thankful they have as the world and this web site is a better place for it.